The Move It! 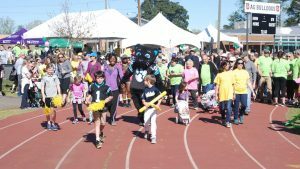 Walk (Charlotte) scheduled for tomorrow, Saturday, April 13th 2019 is a rain or shine event! However, if weather conditions become dangerous (thunder/lightening) we will postpone. Please check the walk website (www.moveitwalk.dojiggy.com) tomorrow for any updates. We will post an update by 6:30 AM.